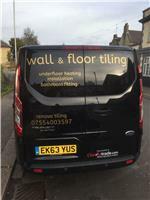 Renova Tiling - Plumber, Tiler - Tiling based in 2A Ashdown Road, West Sussex. Thank you for looking at Renova Tiling. We specialise in all types of tiling and have in excess of 12 years of experience. In that time we have built up a reputable service that also includes the full renovation of bathrooms including all plumbing related work. For most job’s, I will undertake all the work myself but do have a highly skilled team of tradesman who can assist me when necessary. I will happily take on commercial and domestic work and treat every job with the utmost care and respect, aiming for my customer’s complete satisfaction. For free advice and an estimate of the work that you would like carried out, please call me.